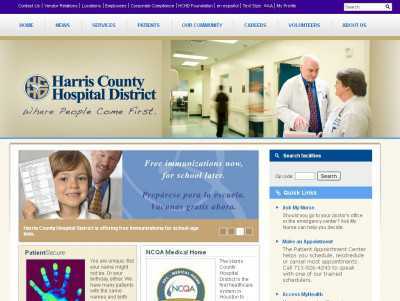 The website for the Harris County Hospital District is found at HCHDOnline.com. It’s been created to cater for the needs of both current patients and their families, and (also) for any person who lives in the county who is weighing up his available healthcare options. 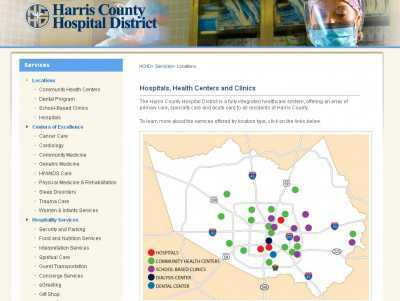 The site lets users know more about how the hospital is run, and it lists all the differences services that it provides to the community. And if you feel that this is the hospital where you want to be treated or operated on, then you can make an appointment on this page. And as far as current patients and their families are concerned, then the site comes with information like visitors’ hours, and also with resources for making the stay of patients more amenable. For example, people can create and send e-greetings to any friend or relative that’s been hospitalized. And the communication with doctors is kept really smooth since direct messages can be sent to their offices. 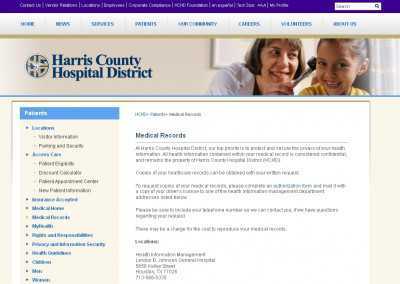 Moreover, patients of the hospital can access their full medical records on HCHDOnline.com, too, and have them instantly retrieved. Other features that merit a mention include a calendar of events (you can access it here), and a really handy tool for searching the hospital facilities (that one’s provided on the homepage).